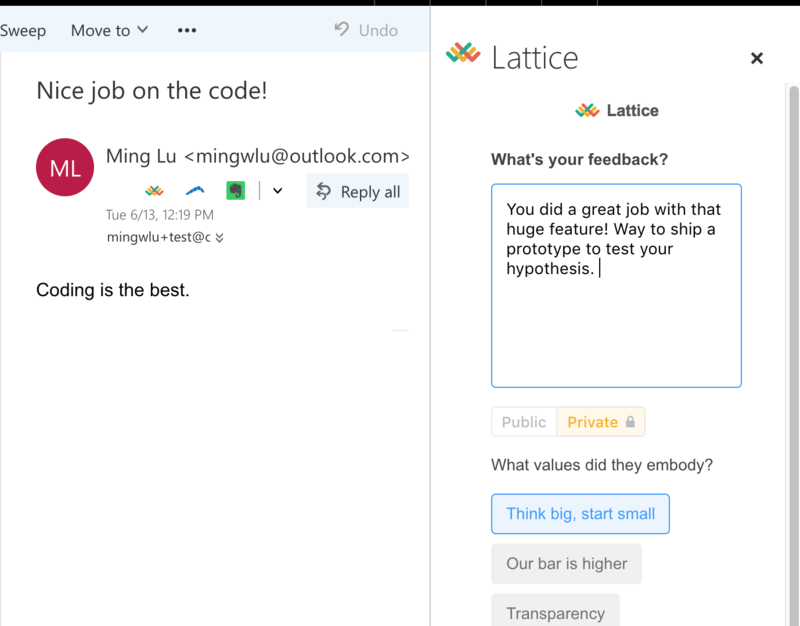 By installing Lattice's Outlook add-in, you can give feedback to your colleagues without have to leave your normal workflow. 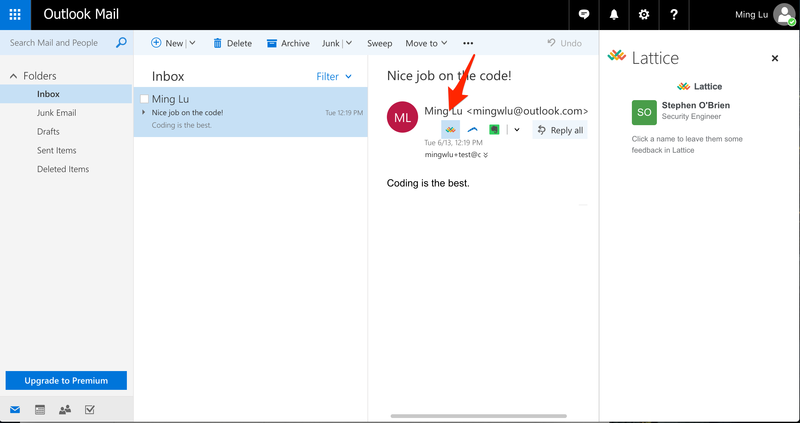 Click "Add from a URL"
In the right hand sidebar, add the url: https://outlook-cdn.latticehq.com/lattice-manifest.xml and then click Next. 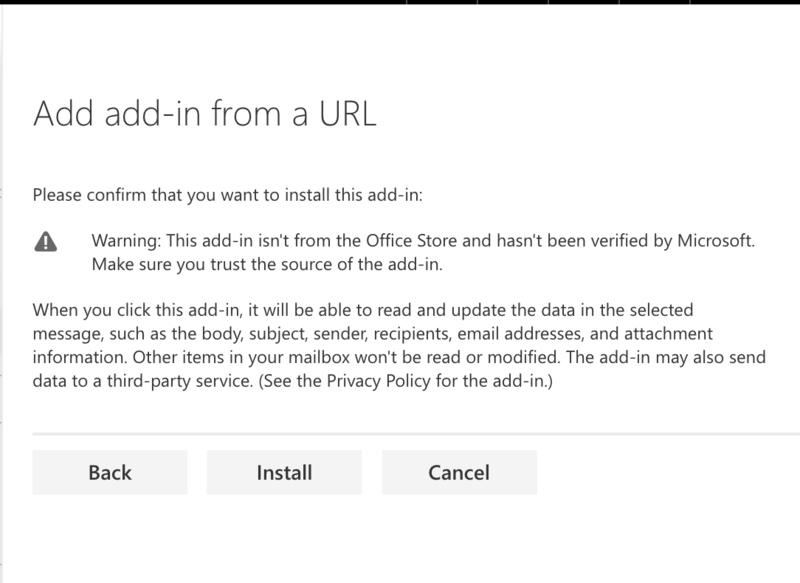 Click Install on the next screen to confirm the installation. 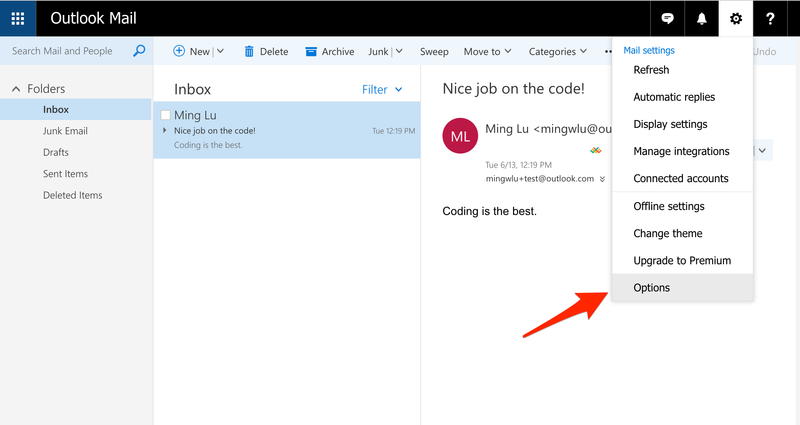 Once the add-in is installed and you are in an email thread, click the Lattice icon to open up the sidebar. 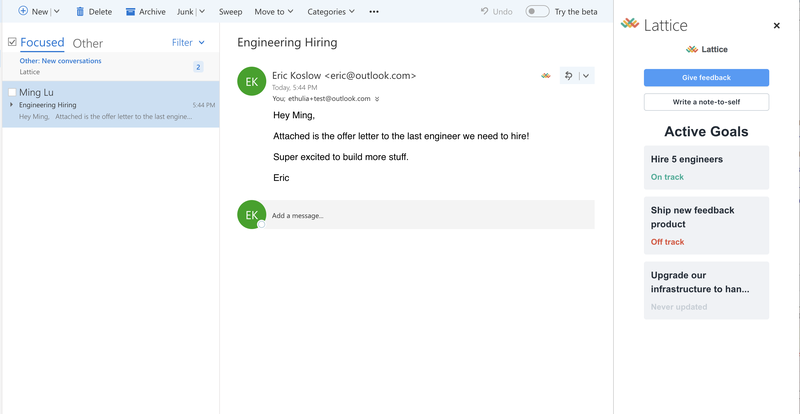 Team members that are part of the email thread will appear there. If you select "share feedback" you can make the feedback public (shared with your whole team), or private (shared only with feedback recipient). Either way, the feedback will be recorded in both your Lattice feed, as well as the recipient's - which will come in handy when its time to complete reviews. If your admin has set up company values, you can associate a value to the feedback before submitting the feedback. Learn more about values here. 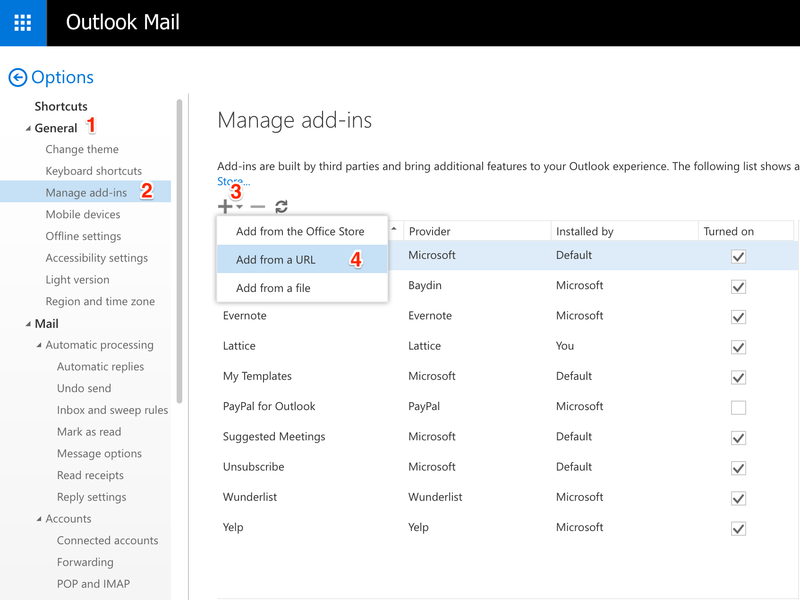 Once the plugin is installed & you are in an email thread, participating team members public Goals will appear in the Outlook add-in.